More than a dozen Cuban dancers of the famous Tropicana cabaret, will be presented by the New Year celebrations in El Tucan, another renowned cabaret located in Miami, Florida. On December 31st, January 1st and 2nd, Tropicana dancers will take the classic Cuban show , distinguished by the use of extravagant costumes and high feather headdresses, to the US, meanwhile preparing for a world tour next year, said the Herald. 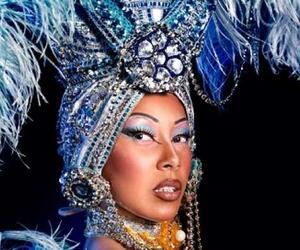 Tropicana is a famous cabaret created in 1939 in Havana. It differs with the slogan "paradise under the stars" for evening entertainment production using many lights, the brightness of the clothing and the excellent choreography to the rhythm of traditional Cuban music. Among the artists who have jumped on the stage of Tropicana stand Nat King Cole, Josephine Baker, Libertad Lamarque, Cheo Feliciano, Rita Montaner, among many others.